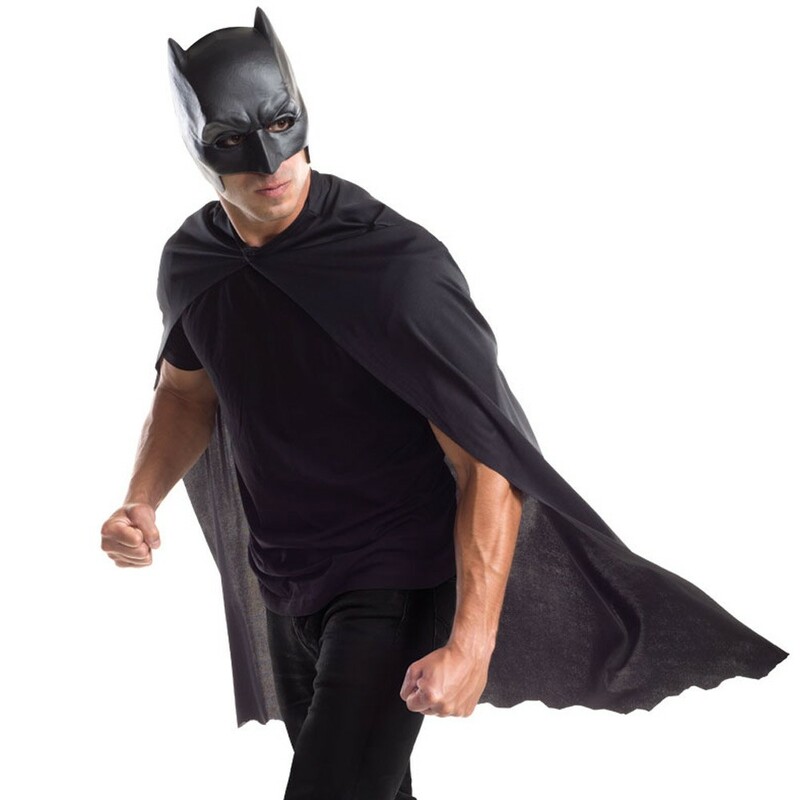 Adults Batman Cape and Mask set - Gotham needs bats to stem the tide of crime. If you think you have what it takes to be the next Bruce Wayne, this simple Batman Cape and Mask puts you on the first rung to Bat-dom. This Batman Cape and Mask set is perfect for a quick fix fancy dress solution! An Adult Batman Cape and Mask.